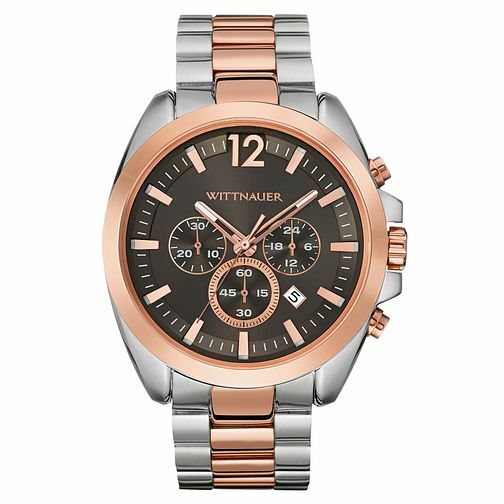 This chronograph bracelet watch in two tone rose gold plate and stainless steel is a sophisticated representation of Wittnauers signature style. The rich rose colouring set against the brown dial creates an extremely luxurious look. The date aperture also provides further functionality alongside the chronograph complication.